honoring: Thomas Neely Carruthers, Jr. 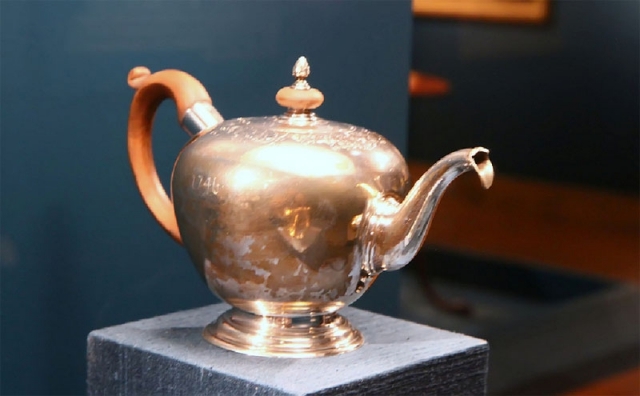 The Jacob Hurd teapot is part of the Museum’s American Art Collection, and is on display in the American Art galleries. 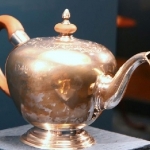 According to the scholar Patricia Kane, “Jacob Hurd was the most talented and prolific of all Boston silversmiths who made silver objects in the late baroque style. 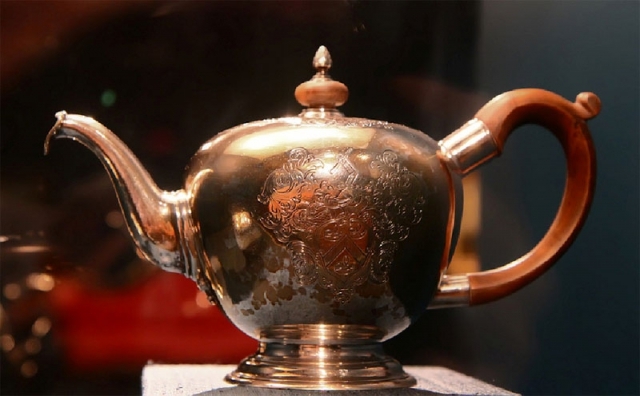 He made more than 50 percent of the surviving silver produced by Boston silversmiths of his generation.” This elegant teapot, bearing the coat-of-arms of the Gardiner family, is a fine example of Jacob Hurd’s craftsmanship. Thomas Carruthers is Of Counsel and former managing partner of Bradley Arant. 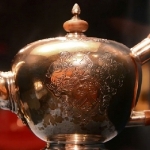 His practice focuses in mergers, acquisitions, estate planning and corporate taxation. In 2001, Mr. Carruthers was named Outstanding Lawyer of the Year by the Birmingham Bar Association. He has served as adjunct Professor of Law at the University of Alabama School of Law. While his professional accomplishments are extensive, he is most beloved for his dedicated service to and generous support of our community. 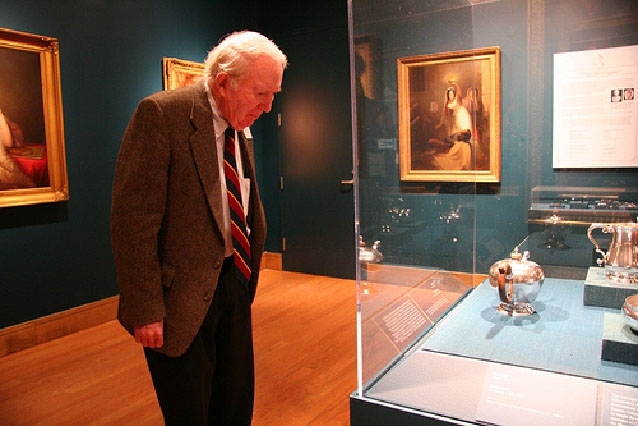 He has given extensively of his time and expertise serving as past Chairman of the Board of Trustees for the Birmingham Museum of Art, Children’s Hospital of Alabama and the Community Foundation of Greater Birmingham. He was a member of the Board of the Greater Birmingham Visioning Program (Region 2020). He is a past member of the Board of Trustees for the Alabama Shakespeare Festival and former President of the Birmingham Rotary Club. He is a member of the 1992-93 Leadership Alabama class and was its President and Chairman. 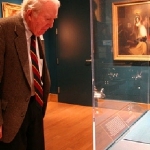 He was chairman of the Executive Committee of the Alabama Academy of Honor, a member of the Academy and a member of the Board of Directors of the Friends of the State of Alabama Department of Archives and History. He has been awarded the Silver Beaver Boy Scout Award and the Distinguished Eagle Scout Award. In recognition of his extensive service to the community, Tom has received numerous awards including Birmingham-Southern College’s Medal of Honor for public service, the L. Burton Barnes III Award for Public Service in 1998 from the Birmingham Bar Association, the Brewer-Torbert Public Service Award from the Alabama Appleseed Center for Law & Justice, Inc., and the Brotherhood and Sisterhood Award for Outstanding Community Service by the Alabama Region of the National Conference for Community and Justice. These are just a few of the reasons why Thomas N. Carruthers is a true legacy and deserving of this recognition.